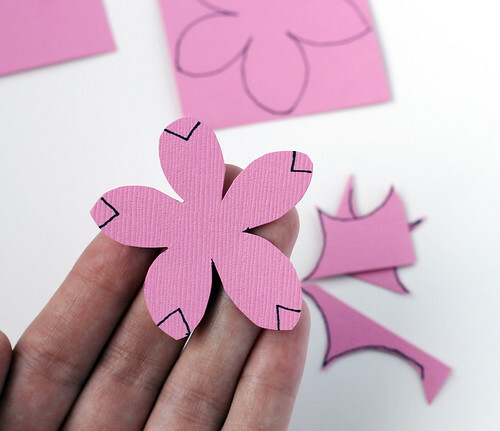 vitamini handmade: Cutting flowers out of felt or paper. 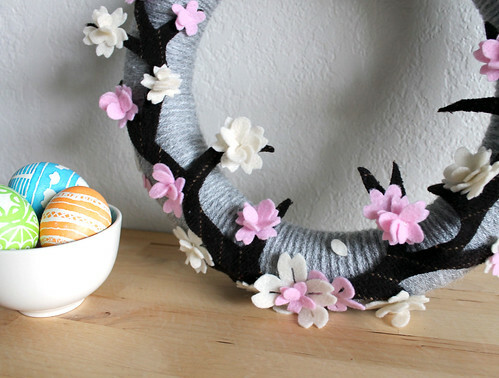 I shared this Cherry Blossom Wreath project last year, and recently received a request from a reader for more detailed information on how to create the felt flowers. I've outlined the process with step-by-step photos. I hope it helps! 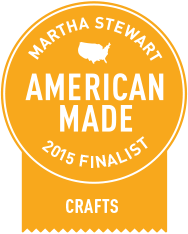 I'm demonstrating this technique with paper, but the same process works with felt. 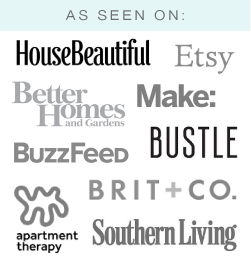 Start with a square of your material. I used a 2" square in these photos. 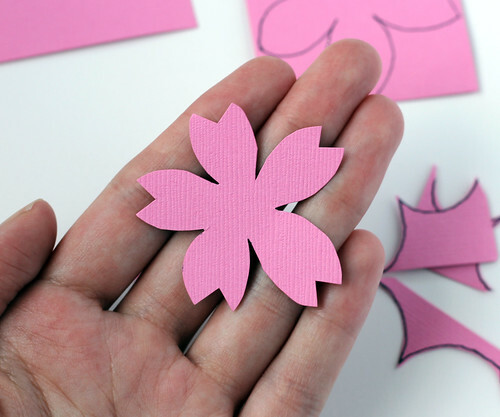 Draw a simple flower with 5 petals onto the material. I usually skip this step and just go for it with my scissors, but it's easier to keep your cuts organized if you have some lines to follow. 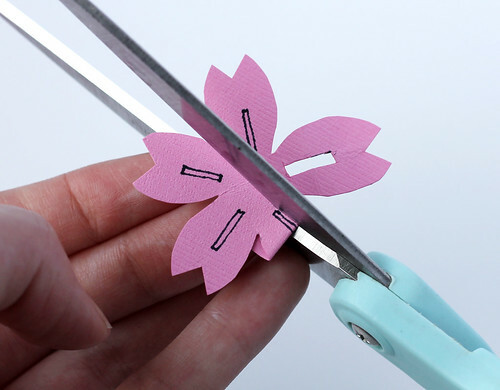 It's best to cut from the outside of your material inwards, instead of trying to turn the scissors in tight spots. This image shows the directions of the cuts. Cut along the lines and remove the excess. That's it! 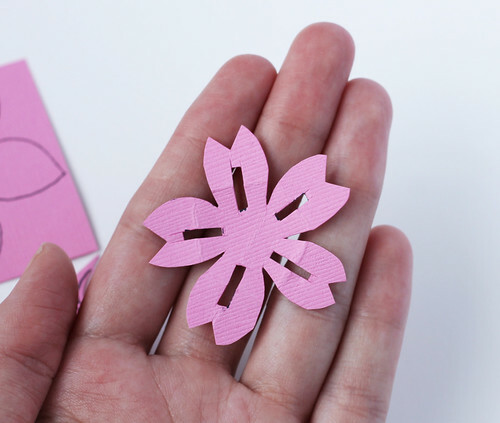 A simple flower. 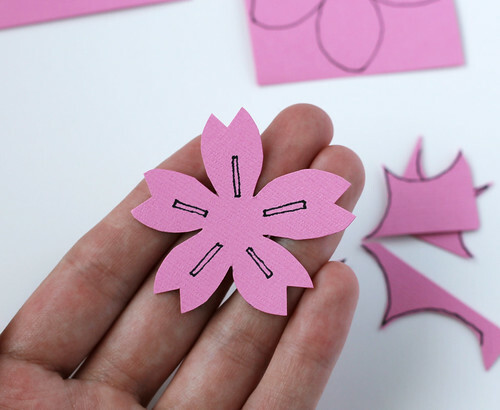 To add a little more cherry blossom flower detail, cut v-shaped notches out of the ends of the petals. 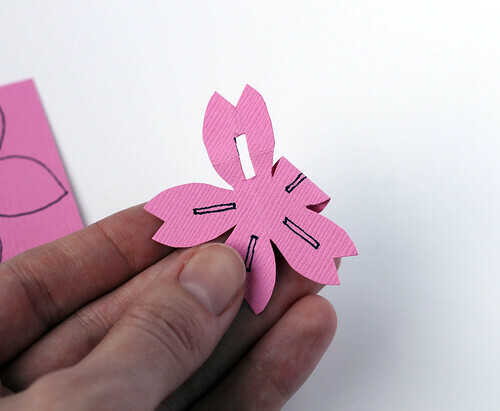 For a little more detail, cut strips out of the center of each petal. 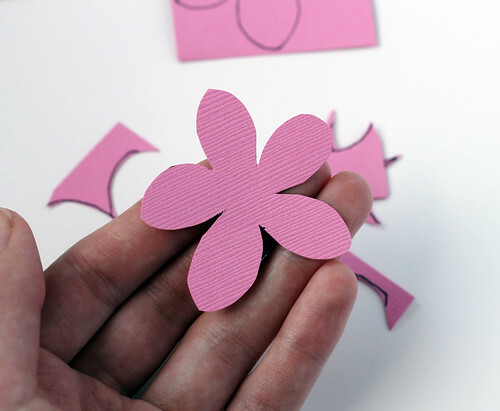 To do this with felt, fold a petal back in half, and cut two small parallel lines. 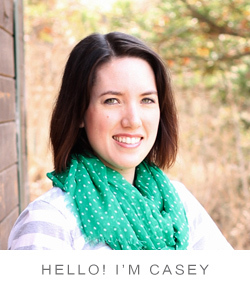 Then just snip out the strip on both ends with the scissors. 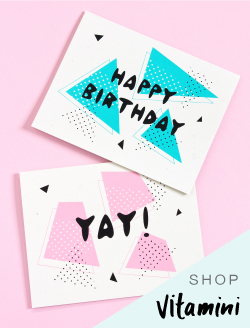 Clearly, this technique leaves crease lines on paper. 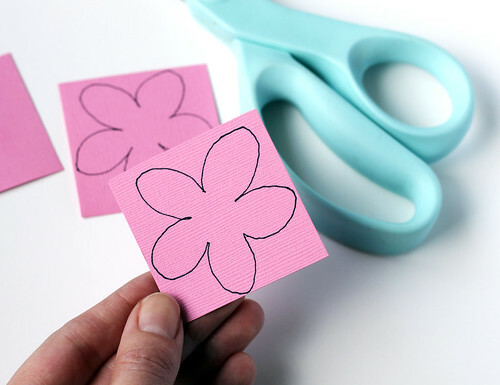 To add these cut-outs to paper with no creases, use an Xacto knife on a cutting surface instead, and just remove the skinny rectangles. 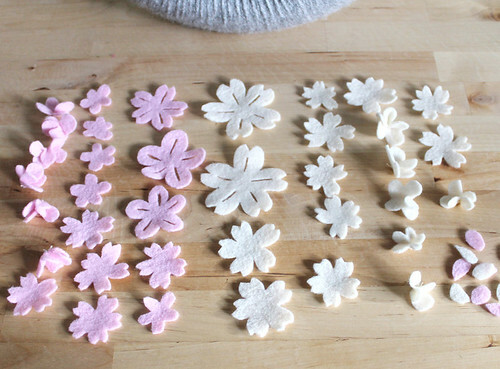 Make a bunch and make a wreath of your own!